The world is changing, rapidly. Social responsibility, Sustainability, Sustainable Development Goals (SDGs), and reputational capital have become critical success factors for businesses and organizations of all types worldwide. Society and key stakeholders expect those they partner with to create social value and environmental stewardship simultaneously with creating business and organizational value. Without this evolution, they can negatively impact your growth and success. The professionals at the CSR Training Institute can help you better understand and adapt to these changes, turn challenges into unique opportunities, and create a strategic competitive advantage to drive success and facilitate a synergistic alignment between business value, social value, and environmental stewardship. The CSR Training Institute offers a wide variety of programs and services to help our clients grow, succeed, and create long-term value in their organizations and with key stakeholders. We are able to deliver our courses on-site worldwide or from our training centers in Ghana, Dubai, and Vancouver. Our many client testimonials are proof of the value our programs offer. You too can be counted among the clients who took the right step and are enjoying these benefits. Contact us at info@CSRTraininginstitute.com to discuss how we can help you and your business grow – you’ll be glad you did. Fast-paced, impactful, high-level briefings will bring your strategic leadership up to speed in a way that will give them insights, awareness, knowledge, and the tools to drive action, results, and create a greater impact. By focusing on Social Responsibility, Sustainability, the SDGs, and other key issues, your Board and Executives will develop a practical and strategic understanding of emerging issues, global best practices and more effectively create competitive advantage and organizational value. These customized sessions typically range from two-hours to a full day and will create understanding, build awareness, and facilitate effective strategic action. Contact Wayne Dunn directly for more information. Well-informed, highly motivated, and well-engaged teams are critical to the success of any organization, especially in rapidly evolving areas like sustainability and social responsibility. Our custom-designed training programs for organizational teams are built to not only develop team-spirit and camaraderie but to help meet your company’s unique needs, identify opportunities and tackle challenges. Our focus in these sessions is to help your team ask smarter questions and utilize the correct tools, so they can find the answers and solutions they need on their own. Your team will leave our program equipped with the knowledge, tools, and processes that will enable them to be more strategic, more effective, more cohesive and more impactful. A strong SWOT (strengths, weaknesses, opportunities, and threats) framework prompts managers to see opportunity and competive advantage, and to think about anything that could potentially impact the success of a new project or organization. A strong SWOT (strengths, weaknesses, opportunities, and threats) framework prompts managers to see opportunity and competive advantage, and to think about anything that could potentially impact the success of a new project or organization. Failure to consider a key area could lead to poor business decisions. Building a strategic SWOT that focuses on Social Responsibility and Sustainability will engage you and your leadership and staff, bring them up to speed on issues and trends from a local and global perspective, and work with you to identify current and future issues, opportunities and challenges facing you and your organization. 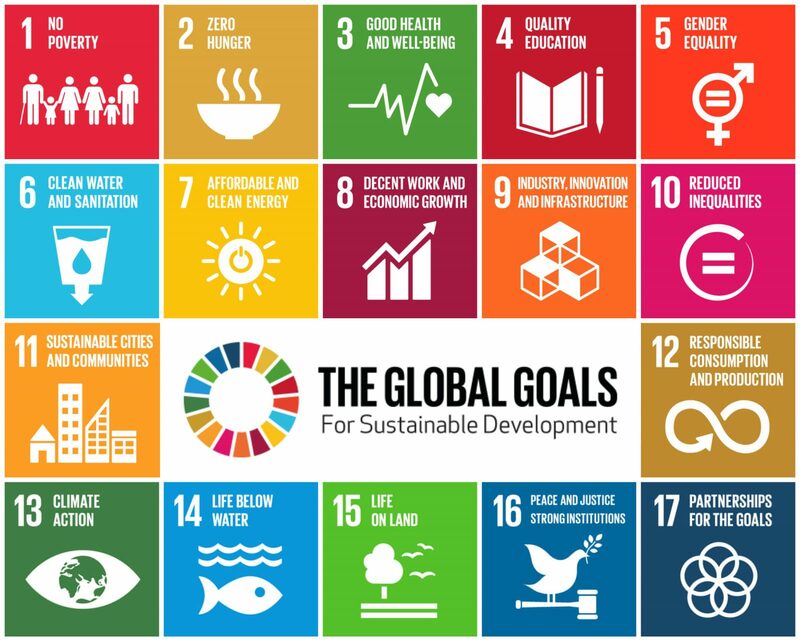 The 17 Sustainable Development Goals that were passed unanimously by the United Nations have become the de-facto development framework for countries and progressive organizations worldwide. Integrating the SDGs into your business strategy is an effective framework to help your organization create competitive advantage, have a greater impact, increase shareholder value, and develop a sustainable competitive advantage by creating social value and environmental stewardship. Our focus in this session is to help you realize what you are already doing to support the SDGs through your ongoing operations and projects while getting more value through your efforts. Sustainability reporting and communications are critical success factors in today’s world and are increasingly expected by regulators, employees, governments, stakeholders, investors, and financiers. CSR Training Institute is one of the few GRI Certified Training partners operating in Africa. Leading businesses across the globe are already embracing GRI reporting, strategic communications and SDGs. Because done right it increases impact and effectiveness and creates business value and long-term competitive advantage . Our focus in this session is to help you understand your unique value propositions and chart a path forward that makes sense for your business as you create value for your organization through reporting and communication. Our instructors are ready to assist you at every stage of the reporting and communication process. Whether you are just beginning the journey or you’re already a seasoned reporter - we are here to help you. Are you ready to begin reporting? Which is the right strategy to start the process? Is GRI reporting right for you? How do you start your GRI reporting process? Is your existing reporting adequate? Who should you communicate with and how? What is your message? Is it being delivered effectively? What trends are coming that you need to be aware of? Is GRI Reporting Right for My Organization? Meeting GRI reporting standards helps many organizations operate more efficiently and facilitates improved understanding and relationships with investors, regulators, customers, and stakeholders of all types. GRI Reporting is the most accepted global framework for sustainability reporting and should help you create and capture value, but it can be expensive and time-consuming, so it doesn’t make sense for every organization. Our focus in this session is to help you understand the benefits of GRI Reporting and if it is right for your organization, based on your unique situation, industry and business structure. Whether you currently have a GRI Reporting strategy in place or not, you will leave this session with a better understanding of your unique value-propositions, how to develop them to create competitive advantage and ways to ensure you are getting the most value from your investment of time and money. CSR Training Institute is a Certified GRI Training Partner and a GOLD member of the GRI Global Community. Leading businesses across the globe are embracing the guidelines developed by the Global Reporting Initiative (GRI) as the leading framework for sustainability reporting. However, in Ghana and wider Africa GRI reporting is only now entering the conversation. Using the GRI Standards, the GRI’s new generation of sustainability reporting frameworks, not only provides a widely accepted tool to communicate sustainability efforts. Sustainability reporting, done strategically and efficiently, also allows organizations to strategically leverage their sustainability management to improve social impact and environmental stewardship and thus reducing business risks while creating immediate impact and long-term competitive advantage that drives business value and success into the future. 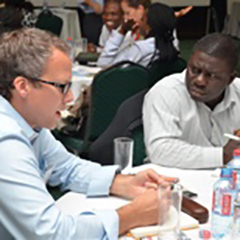 The CSR Training Institute is a pioneer of sustainability reporting in West Africa. We are proud members of the GRI GOLD Community - a global network of committed GRI supporters, as well as the first official GRI Training Partner in Ghana. Join us for our GRI Certified Standards Training courses and learn how to seize the opportunity sustainability reporting offers for your business! Look out for our next training dates or contact Wayne Dunn directly for our customized in-house workshops. Sustainability and social responsibility lend themselves to productive, engaging and mutually beneficial partnerships that produce business value, social impact and facilitate environmental stewardship. However, many partnerships either don’t get developed, end in frustration or don’t realize their full potential in creating organizational and social value. Our focus in this session is to help your organization assess, negotiate, implement, manage, rescue and when necessary terminate partnerships. With over two decades of experience with sustainability partnerships of all kinds, we’ll help you create value for both partners so you can better make a positive impact in the world. Sustainability leadership can be fun, rewarding, exciting and productive, creating organizational value and career growth. But, sometimes it’s not. Sometimes leaders need experienced support, guidance, and mentorship to help them apply their experience and insights to lead and drive sustainability and social responsibility in their organization. Our focus is to give executives a place to ask questions and share ideas, strategically assess opportunities, and evaluate strategies. Our decades of experience in sustainability, teaching, and coaching, help to facilitate professional growth, create an impact, drive results and achieve career and organizational performance. Sustainability and social responsibility can have far-reaching effects, creating organizational value, societal impact, internal cohesion, customer engagement and enhancing stakeholder relationships. Sustainability and social responsibility can have far-reaching effects, creating organizational value, societal impact, internal cohesion, customer engagement and enhancing stakeholder relationships. It can also waste money, sidetrack initiatives, create internal discord and distract an organization. Sustainability success doesn’t happen by accident. It stems from overall leadership and is supported by effective policy, strategy and implementation. Our focus in this session is to help you create a framework for a social responsibility and sustainability strategy that integrates policy, strategy, implementation, management and impact measurement to drive organizational and career results, produce more value and turn it into a competitive advantage. Creating more value, doing it more efficiently and achieving it with fewer resources are key to organizational and career success in all areas of business, including sustainability and CSR. Creating more value, doing it more efficiently and achieving it with fewer resources are key to organizational and career success in all areas of business, including sustainability and CSR. Impact measurement and management are critical for organizations and leaders wanting to succeed in today’s fast-paced climate. Most organizations have well-developed systems and processes for measuring business performance and impact but often lag on measuring social impact and its relation to business value. Our focus in this session is to work with executives, leaders, and managers to create more effective management, budgeting, and financing of programs to bring management discipline, value and impact efficiency to their sustainability investments and activities. What can we do to support your success? If you have other needs not covered above, we’d be happy to learn more. If you have other needs not covered above, we’d be happy to learn more. We deliver a variety customized consulting assignments and training programs to our clients worldwide. Additionally, we can facilitate sessions at corporate retreats, develop customized lectures and keynote addresses. Need training specifically designed for your company? We can design training programs that tightly target the needs and opportunities of your organization, focusing on the results that you need. These can be closely focused on internal needs or can be expanded to allow you to bring in key external stakeholders.